Have you ever been to an online shopping website and love what they have to offer only to find out that they only ship to the United States? Shipito solves this problem. I personally know of a husband and wife couple living in Australia that buys a very popular item on ebay.com that doesn’t ship to OZ. They have it shipped via their US address then Shipito takes care of the rest. Once they receive the items they then resell on ebay.com.au for a tidy profit every month (hope i’m not giving their secret away). You might want to check with rules in your own Country if this is allowed but most you can definitely, without doubt, resell as a used item. Now how to get around the address problem if you are in another Country? Sign up with ‘Shipito’ and you instantly are awarded a United States postal address where and items purchased online can be forwarded to. 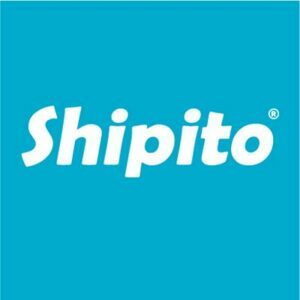 Once the item is received at your US address, Shipito can package it up and forward it on to your (or a friends, business etc) address in your own home Country. Now, having said that, some stores in America do ship say to Australia but if you where to combine all of your purchases and get them sent to your US Shipito address and then have them pack them all up and ship them on to Australia considerable savings can be achieved. This is often done by savvy couples like my friends mentioned above that want to stay ahead of the game and leave other’s wondering ‘how do they do that?’. Now their are fees involved. Free and paid plans available for one off, bulk or perhaps businesses that want to take their own business to the next level. $2 USD applies per order plus the cost of shipping the item back to you is a very reasonable offer. Check out the Shipping Calculator to give you an estimate on what it may cost you. Combine Purchases – Purchase multiple items from different retailers and have them shipped together in one box (if it fits – see calculator above) otherwise multiple boxes can be arranged see Consolidation for more. They also have a live chat that can be accessed via their website at certain times.